HealthCare Consultants Pharmacy St affing is a nationally renowned pharmacy staffing agency that specializes in providing relief pharmacists in Florida, Alabama, Georgia, North Carolina, South Carolina and Texas. Whatever your requirements are pertaining to getting pharmacist relief, our automated matching and scheduling services allow us to quickly recruit, screen and locate the perfect pharmacist with the perfect capabilities to meet your every need – guaranteed. Please also note that HCC can fill all of your relief needs regarding pharmacy technicians (in Florida only). 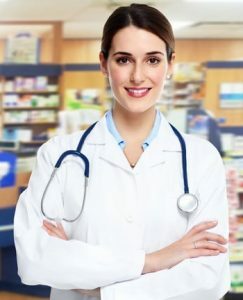 HealthCare Consultants Pharmacy Staffing is the leading provider of qualified, registered, licensed and professional pharmacy technicians in Florida. We have provided pharmacies throughout the State of Florida with relief pharmacy technicians and CPhTs for over 29 years now. As with relief pharmacists, satisfaction with our relief pharmacy technicians is fully 100% guaranteed! Need an R.Ph. for Relief? You Can Rely On HCC! When situations arise that require a relief pharmacist for your business, you can rely on HealthCare Consultants Pharmacy Staffing. Whether your need for a relief pharmacist is planned or simply an emergency situation, HCC is the best pharmacy staffing agency and resource available to help you quickly get an experienced and qualified pharmacist. With our extensive candidate inventory system (a proprietary in-house software system developed over a 20 year period), HCC is able to match your specific pharmacy requirements and relief needs with the right pharmacist every time. This takes into consideration both your required skill sets of the relief pharmacist and your geography. Established in 1989, HCC services pharmacies in FL, AL, GA, NC, SC and TX in regards to their pharmacist relief needs. We also specialize in all 50 states placing pharmacists for our clients in need of permanent placement and direct hire, as well as part-time assistance. HCC also has qualified and reliable personnel available in or around your local area with experience in all types of pharmacy. This includes specialty areas such as IV and home infusion, nuclear, oncology, compounding, mail order and consulting settings – and we ensure that all our pharmacists comply with HIPAA requirements and maintain professional liability insurance. Whether you need a relief or temporary pharmacist for just a day, a weekend or for several weeks or more, you can reach us 24 hours a day, 365 days a year, and rest assured that by choosing HCC, you’ve chosen the best. Please call us now at (800) 642-1652 or take a moment and fill out our Online Position Request Form and an HCC staffing consultant will contact you as soon as possible to discuss your needs.